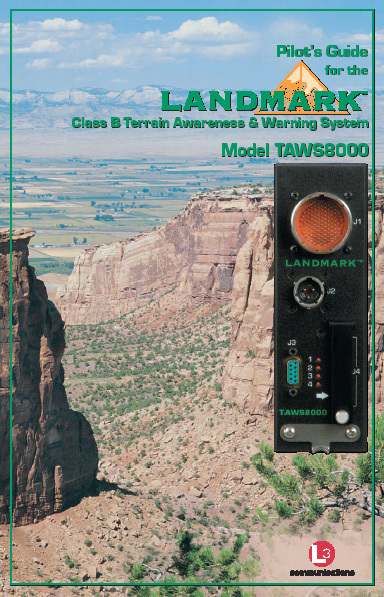 This is the official Pilot\'s Guide for the Landmark Class B Terrain Awareness & Warning System from L-3 Communications (BFGoodrich). It covers the function of each control and some of the more common procedures. 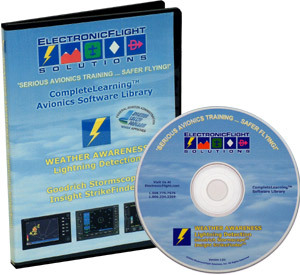 The CD-ROM based training program from ElectronicFlight Solutions highlights the two lightning detection systems, the L3 Goodrich Stormscope™ and Insight StrikeFinder™. The overall general theory of thunderstorms and lightning detection is explained before progressing into the specifics of strike interpretation. The self-guided training then highlights the operation of the StrikeFinder™ and Stormscope™. The training continues with the specific operation of the Stormscope™ on Goodrich’s own CRT display, the Avidyne FlightMax, Bendix/King KMD-550/850 and Garmin GPS-430/530 display systems. 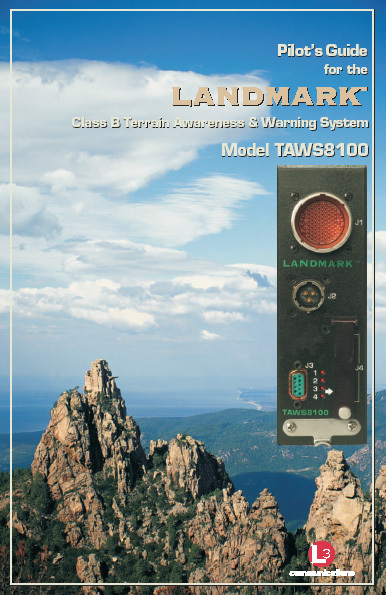 The training implants the knowledge of lightning strike symbology, thunderstorm depiction, weather environment interpretation, limitations, operation modes and the formulation of weather avoidance strategies. The easy to use, effective self-paced training program that quickly familiarizes users with AirMap 500 & 1000 operations by using VFLITE\'s award winning, scenario-based, guided simulation system. Want to be able to use all the power that your AirMap 500 & 1000 GPS can offer? We\'re sure you do - and that you\'d rather figure it out on the ground at your leisure (instead of flying "heads down" trying to learn it). 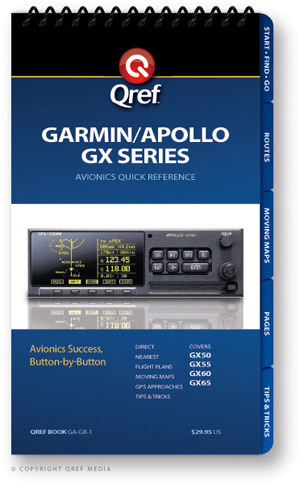 The new VFLITE (now Jeppesen) guide on the feature-rich Lowrance portables will greatly reduce the frustration that often comes from reading the manual, enable you to learn in a safe environment and let you maximize the investment you made in your AirMap. 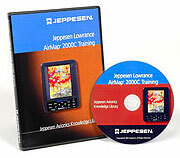 The easy to use, effective self-paced training program that quickly familiarizes users with AirMap 2000c operations by using VFLITE\'s (now Jeppesen) award winning, scenario-based, guided simulation system. Want to be able to use all the power that your AirMap 2000c can offer? We\'re sure you do - and that you\'d rather figure it out on the ground at your leisure (instead of flying "heads down" trying to learn it). The new VFLITE guide on the feature-rich Lowrance portable will greatly reduce the frustration that often comes from reading the manual, enable you to learn in a safe environment and let you maximize the investment you made in your AirMap. 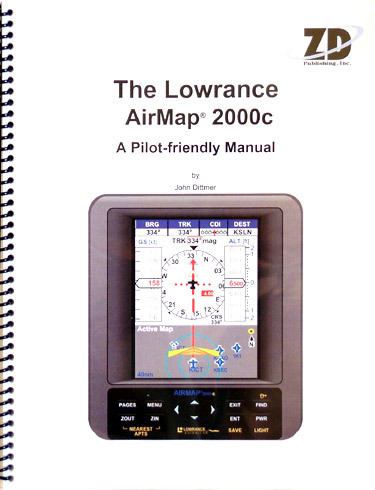 This Pilot-friendly Lowrance AirMap 2000C manual from ZD Publishing, Inc. concentrates on a task-oriented format to cover all GPS and moving map functions. The Table of Contents lists all operations. Find the operation that interestes you, go to the appropriate page and view the step-by-step instructions from beginning to end. 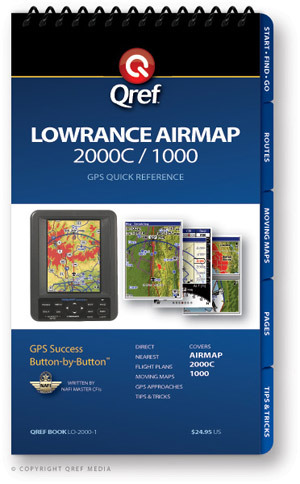 This checklist is your in-flight reference for using the Lowrance Airmap 2000C/1000 GPS stsrem. It contains easy-to-understand, button-by-button instructions for all the major features and procedures. It’s beneficial during initial familiarization training and it continues to be a valuable reference during continued operation. 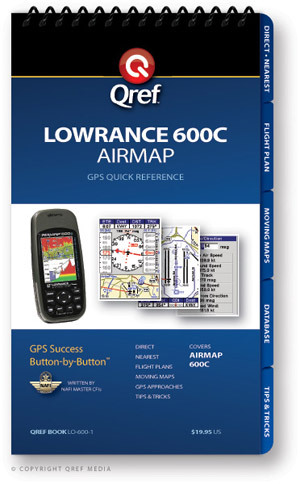 This checklist is your in-flight reference for using the Lowrance Airmap 600C GPS stsrem. 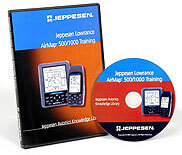 It contains easy-to-understand, button-by-button instructions for all the major features and procedures. It’s beneficial during initial familiarization training and it continues to be a valuable reference during continued operation. 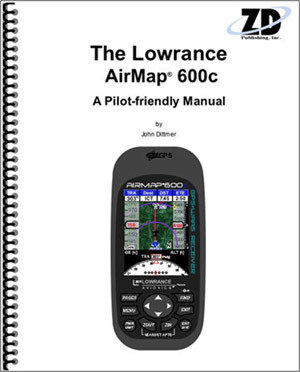 This Pilot-friendly Lowrance AirMap 600c manual from ZD Publishing, Inc. concentrates on a task-oriented format to cover all GPS and moving map functions. The Table of Contents lists all operations. Find the operation that interestes you, go to the appropriate page and view the step-by-step instructions from beginning to end.